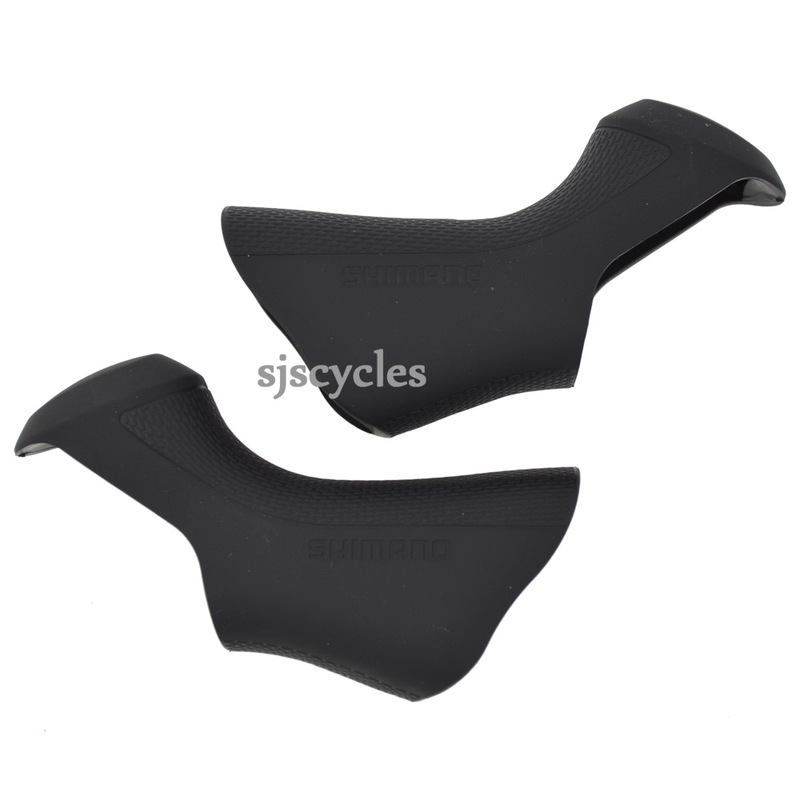 These Bracket Covers can only be used with Shimano Ultegra Di2 ST-6870 11spd STI Road levers. Ordered to replace some worn hoods on my Ultegra 6870 Di2 shifters. Along with some new bar tape, front of the bike looks good as new! A little snug when you’re fitting them but that’s to be expected. Good price and delivered the next day. can I use them on ultegra 6800 levers? You cannot use these on the Ultegra 6800 levers. However we do stock the correct ones you need under part #35207. Where can I get some non black hoods for my 6870 levers? I want red ones but can't seem to find any anywhere. Shimano only make these hoods in black and unfortunately we're not aware of any aftermarket company making hoods for these levers. These are indeed for a pair. I Have A Di2 Shimano 6870 Groupset. I Need The Silver Plate/Cover For The Right Hand Shifter That Sits At The Top Of The Leaver And Also A Set Of Rubber Hood Covers - Could You Tell Me If You Have Theese And Also The Prices Please? I also have some damage to the right hand lever itself, although the Di2 is all OK, is it possible to just change the lever? These hoods you have left the question on are the correct ones for your levers. The silver part is the name plate which we sell as SJSC part number 35153. The lever is only available as the main lever assembly so is quite expensive, these are SJSC part number 40144.